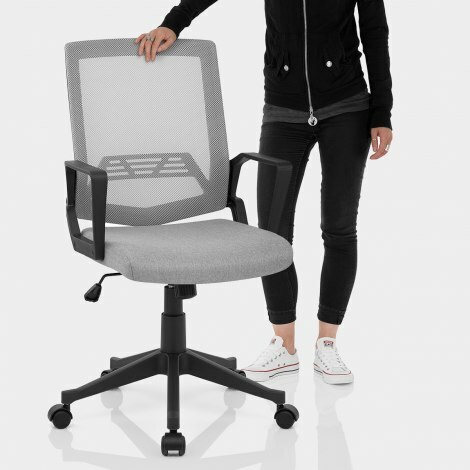 Ergonomically formed, the Tuscan Mesh Office Chair Grey will make a great addition to the workspace. With a range of functional features and modern styling, the Tuscan is a smart yet practical piece for the office, study, and elsewhere. Comfortable and stylish, grey fabric upholsters the seat, which is densely padded throughout. 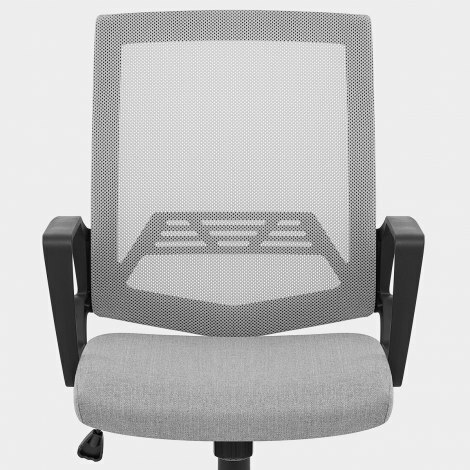 The tall backrest offers ample lumbar support, and its mesh design provides breathability to keep the user cool. Variable height is also available with the gas lift mechanism, which can be adjusted using the handle beneath the seat. 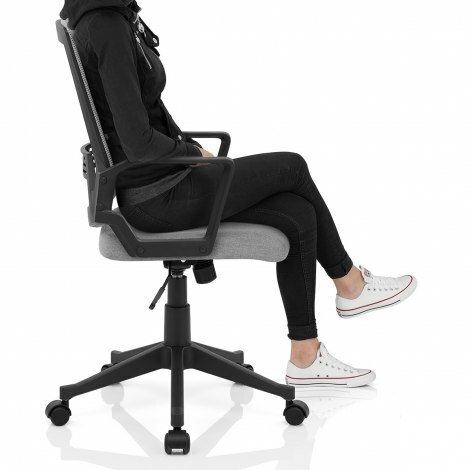 Plus, 360-degree swivel is included for convenience and armrests deliver optimum support. Equipped with a lockable reclining tilt mechanism with tension control, you can easily find the ideal seating position. Below, the five-spoke nylon castor base allows you to move freely around your workstation.